Our comprehensive range of capabilities enables us to provide airport customers with integrated service delivery – from pavement construction, facilities maintenance and communications technologies to open space and asset management. We specialise in turnkey solutions for electrical and communication systems. These can be delivered for new facilities or an upgrade of existing airport facilities. We also offer whole of life asset solutions for critical infrastructure such as roads, rail lines, carparks and grounds which support airport sites. We continually develop improved maintenance methodologies to minimise cost and prolong asset life. Our research and development in pavement and surface science ensures we are at the forefront of new technologies and solutions. 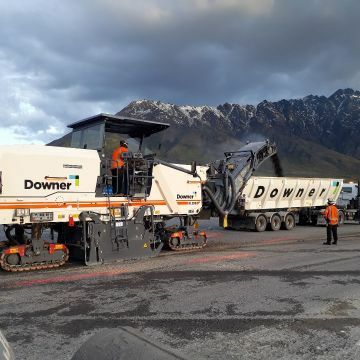 Downer’s understanding and experience of airport works, in both civil and defence installations, has been accumulated over decades of successful project deliveries in various locations in a supportive business environment where best practice is discussed and cascaded through our specialist airfield teams. Downer offers turnkey electrical and communication systems for the expansion or upgrade of port facilities as well as whole-of-life asset solutions for critical infrastructure such as roads, rail lines, car-parks and grounds which support and connect port sites. Our expertise also includes construction and maintenance of wharves and marine structures.